▼ Accessories and Add Ons - Click Here! 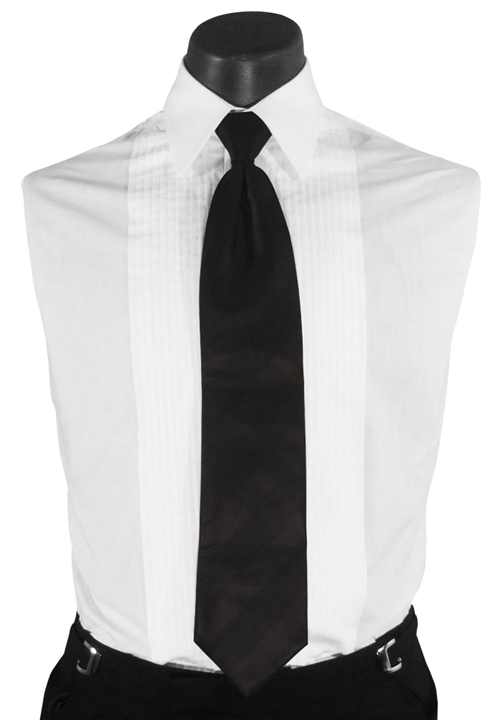 The black on black Multi- Strip long tie by Calvin Klein is a modern take on a timeless style. This poly/satin long tie features a pre-tied knot, an adjustable band, hook closure, and is no more than 3.5" wide at it's widest. This tie will complete your formal look with a touch of sophistication and class, connecting you with the old and the new!